Air Malta is planning to open up a new route to Oran, Algeria’s second largest city. The twice weekly frequency is expected to operate every Monday and Thursday from 20th July till 31st August. “This is more good news for both Malta and Algeria. 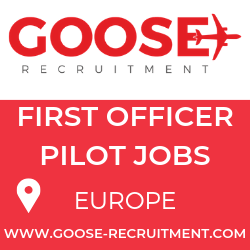 We started flying to Algeria’s capital, Algiers, in June 2013 and following the positive response received, we are now looking forward to start operations to Oran. The city is a major port and the commercial, industrial, and educational centre of western Algeria.” This service will compliment the twice weekly flights to Algiers that will increase to three weekly flights during the peak summer months just after Ramadan. Flights to Algiers this summer will operate every Monday, Thursday and Sunday. Air Malta’s flights to both Algiers and Oran will offer much needed connectivity between the two countries and mainland Europe through Malta. 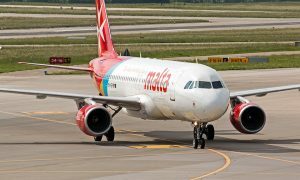 Air Malta operates to around 30 scheduled destinations to Europe, North Africa and the Eastern Mediterranean with a fleet of 10 Airbus A320/A319 aircraft. These new services are also expected to continue facilitating and enhance business opportunities between the two countries. Air Malta also offers a wide range of destinations beyond its own network by means of code share agreements that are in place with a number of airlines that include Air France, Austrian Airlines, Aeroflot, Emirates, Etihad, Lufthansa, Brussels Airlines, Meridiana fly, Swiss Airlines and Turkish Airlines. Starting from modest beginnings with 53,500 passengers transported in the first year of operation, Air Malta now carries an average of 1.8 million passengers every year and has, since its first flight operated on 1st April 1974, transported over 39 million passengers to and from Malta. Air Malta has appointed Soleil Voyages as its General Sales Agents for Algeria on the 1st December 2014. 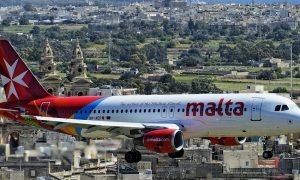 Soleil Voyages are backed up by a network of local travel agents that will be selling Air Malta and Malta across the whole country.